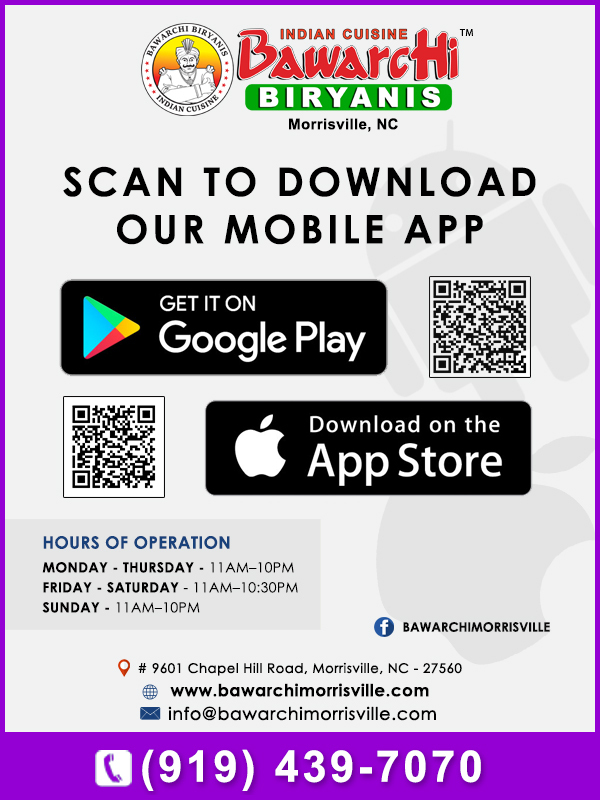 We are excited to announce the launch of Android and iOS mobile apps for Bawarchi Biryanis, an Indian Cuisine Restaurant in Morrisville, NC. Bawarchi Biryani Point @ Morrisville, NC will be open for business from 07/30/2015. We welcome everyone to come and try our traditional Indian recipes in a modern casual setting. Please visit our location site (www.bawarchimorrisville.com) for more information on menu offered at the location.